beautiful Wailea Ekolu Premium 2-bedroom, 2-bath! 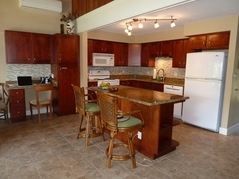 Wailea Ekolu 702 is a Premium 2 bedroom, 2 bath top-floor condo ideal for family getaways. Air-Conditioners in each bedroom and living room. The master suite has a luxurious King bed and the second bedroom has a Queen size bed and 1 twin bed. Tile flooring is throughout. Guests enjoy panoramic views of the Pacific Ocean, Kohoolawe and Molokini from the living room, lanai, kitchen and Master Bedroom. The full kitchen has everything guests need to prepare meals. You can also grill fresh island fish on your lanai! This condo comes equipped with FREE WIFI!! Just bring your laptop or tablet and connect via our high-speed WIFI connection! 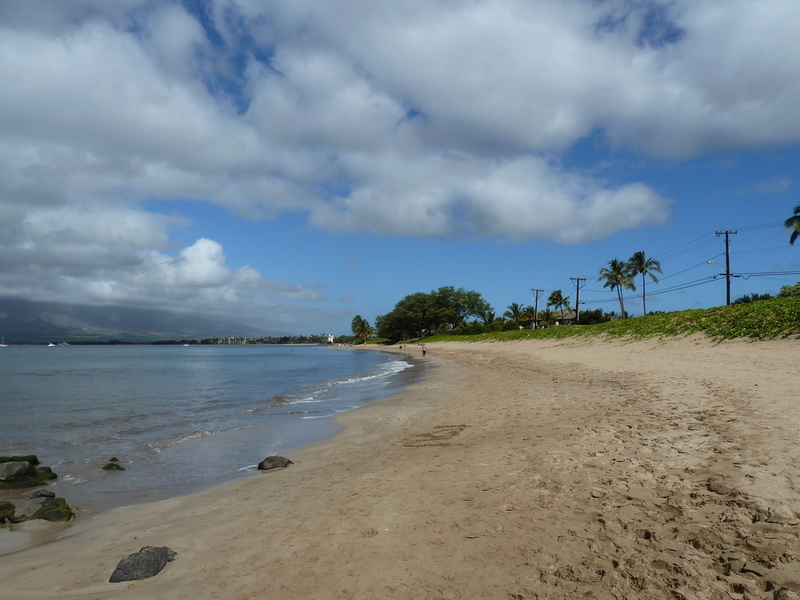 Wailea Ekolu is located just up Wailea Ike from the Grand Wailea, Wailea Beach, Mokapu Beach and Ulua Beach. This unit is perfectly situated on the hillside so that it provides sweeping views of the Pacific Ocean, Wailea Blue Golf Course, and the beautiful Wailea Ekolu landscape. Beach chairs, beach towels, cooler and a boogie boards are also provided. Beautiful 3-bedroom, 2-bath DELUXE townhome located at South Maui's exclusive Koa Resort. Koa Resort has only 54 units in 5 lowrise buildings on 5 acres of tropical grounds ~ Largest condo pool in South Maui!